Learning to scuba dive requires both knowledge development (facts, principles, concepts) and motor procedures (skills, techniques, methods). The PADI Open Water Diver Online Course provides the knowledge development portion you need. You develop the remaining skills by actually diving with a PADI Instructor at your local PADI Dive Center or Resort. How does Online Scuba Diving lesson (PADI eLearning) works? How much is Online Scuba Diving Course (PADI eLearning)? 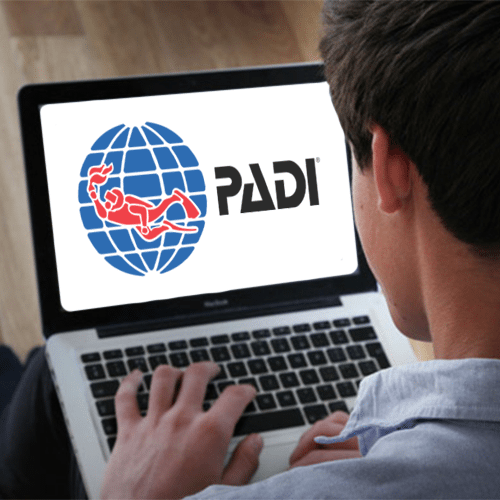 How long does the Online Scuba Diving Course (PADI eLearning) stay valid? The Online Scuba Diving Course (PADI eLearning) will be available for one year from the time of course registration. What is the benefit of Online Scuba Diving Course (PADI eLearning)? You can manage your learning schedule better, eliminate traveling, revisit any course learning scheme at any time you chooses. Contact us and sign up now with the PADI e-learning.